As we begin the second part of our school year and as the calendar changes from 2016 to 2017, we review our goals. The leaders of our math committee set the following goals for this school year. Continue our work on vertical alignment. Expand our knowledge of best practices and their role in our current program. Share work with grade level teams to grow our whole community as teachers of math. 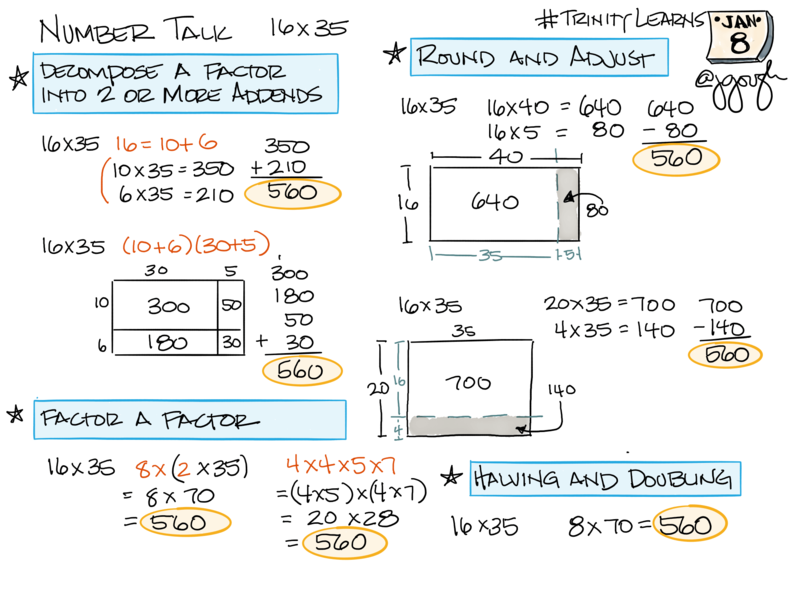 Raise the level of teacher confidence in math. Deepen, differentiate, and extend learning for the students in our classrooms. Our latest action step works on scaling these goals in our community. The following shows our plan to build common understanding and language as we expand our knowledge of numeracy. 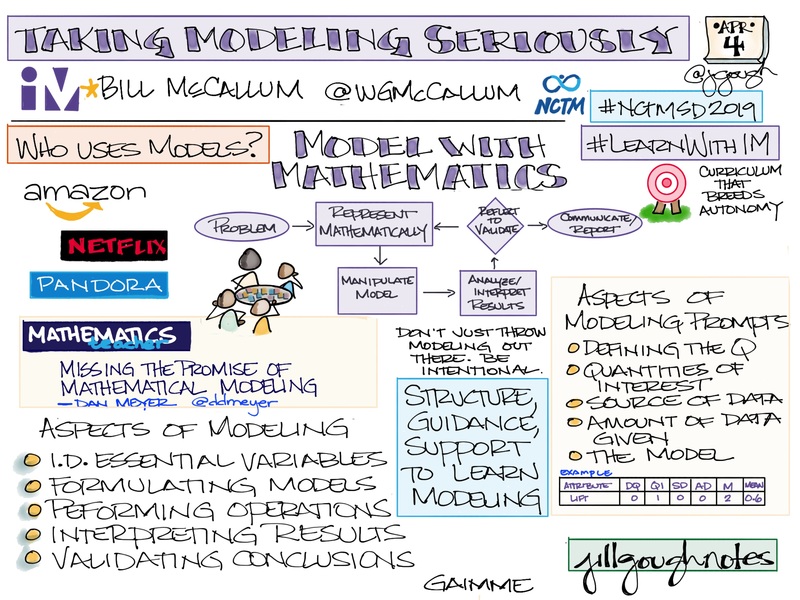 Over the course of two days, each math teacher (1st-6th grade) participated in 3-hours of professional learning. Sample timestamp from PD sessions. 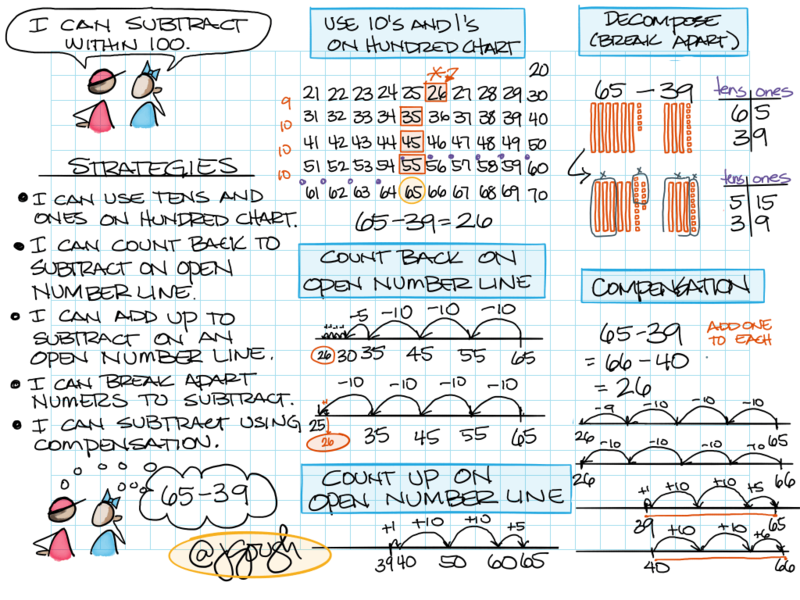 We started with a number talk and a number string from Kristin Gray‘s NCTM Philadelphia presentation. We challenged ourselves to anticipate the ways our learners answer the following. 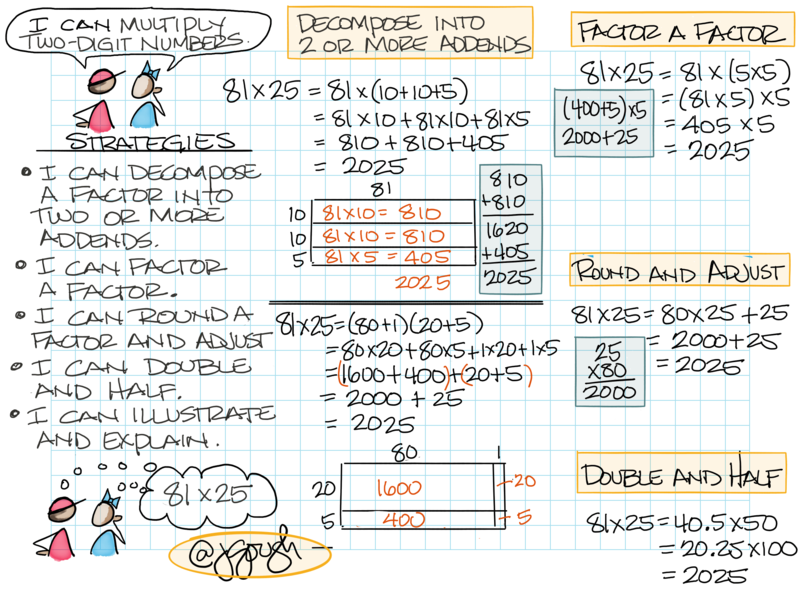 We also referred to Making Number Talks Matter to find Humphreys and Parker’s four strategies for multiplication. 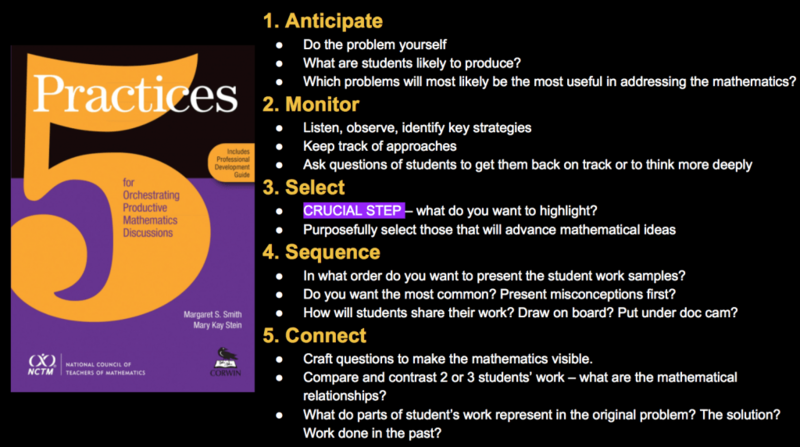 We pressed ourselves to anticipate more than one way for each multiplication strategy to align with Smith and Stein’s 5 Practices for Orchestrating Productive Mathematics Discussions. 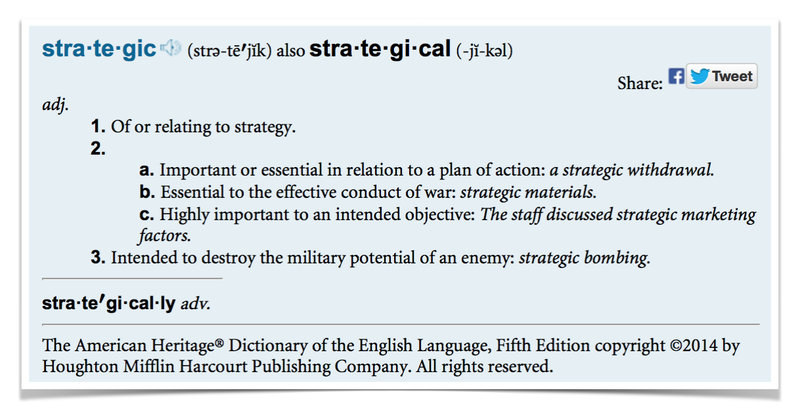 From our earlier work with Lisa Eickholdt, we know that our ability to talk about a strategy directly impacts our ability to teach the strategy. What can be learned if we show what we know more than one way? How might we learn from each other if we make our thinking visible? After working through Humphreys and Parker’s strategies (and learning new strategies), we transitioned to the number string from Kristin‘s presentation. The goal for the next part of the learning session offered teaching teams the opportunity to select a number string from one of the Minilessons books shown below. Each team selected a number string and worked to anticipate according to Smith and Stein’s 5 Practices for Orchestrating Productive Mathematics Discussions. To practice, each team practiced their number string and the other grade-level teams served as learners. When we share and learn together, we strengthen our understanding of how to differentiate and learn deeply. Deep learning focuses on recognizing relationships among ideas. 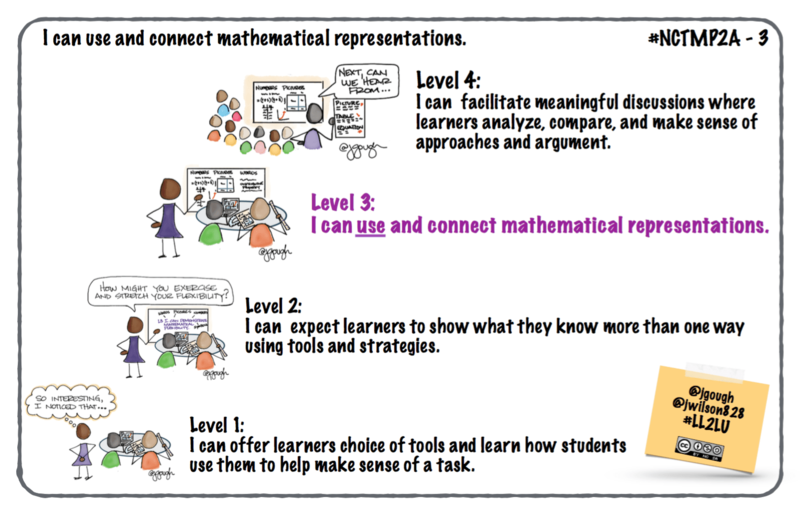 During deep learning, students engage more actively and deliberately with information in order to discover and understand the underlying mathematical structure. As we begin the second part of our school year and as the calendar changes from 2016 to 2017, what action steps are needed to reach our goals? Hattie, John A. (Allan); Fisher, Douglas B.; Frey, Nancy; Gojak, Linda M.; Moore, Sara Delano; Mellman, William L. (2016-09-16). Visible Learning for Mathematics, Grades K-12: What Works Best to Optimize Student Learning (Corwin Mathematics Series) (p. 136). SAGE Publications. Kindle Edition. Humphreys, Cathy; Parker, Ruth (2015-04-21). Making Number Talks Matter (Kindle Locations 1265-1266). Stenhouse Publishers. Kindle Edition. Smith, Margaret Schwan., and Mary Kay. Stein. 5 Practices for Orchestrating Productive Mathematics Discussions. 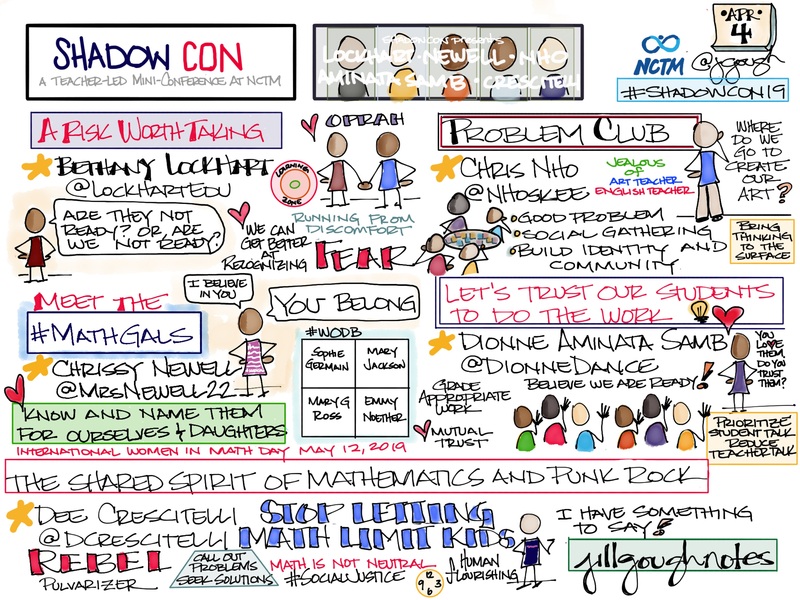 Reston, VA: National Council of Teachers of Mathematics, 2011. Print.